Since 2008 The School of Life in Melbourne has presented wildly-popular secular Sunday Sermons exploring modern day values, virtues and issues. Previous speakers have been John Safran and scientist Dr Karl. On Sunday morning (10:45am) January 17, 2015, Lawrence will present his sermon entitled “On (Not) Knowing”. From tackling the Rubik’s Cube to investigating the claims of so-called psychics and ghosthunters in his documentary series Unbelievable (ABC1), Lawrence has always been driven by curiosity. But the conclusion and answers aren’t the best part of tackling the unknown – it’s in the figuring out. 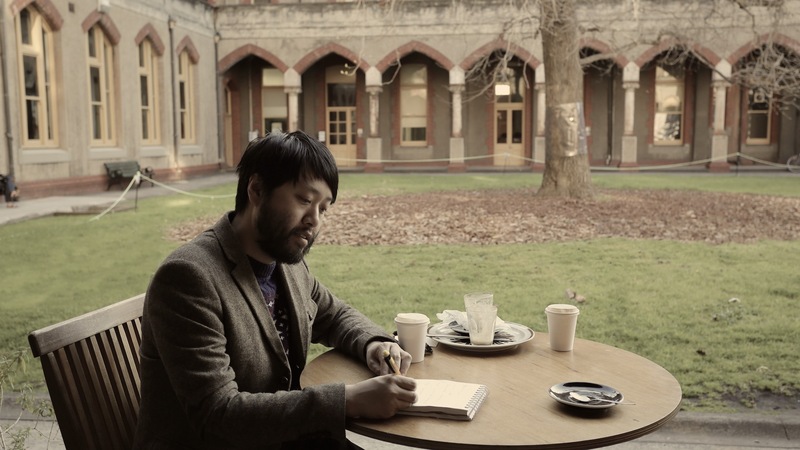 In this Secular Sermon, Lawrence Leung argues that the “not knowing” of something is the catalyst that drives human endeavour, science and some less desired outcomes. 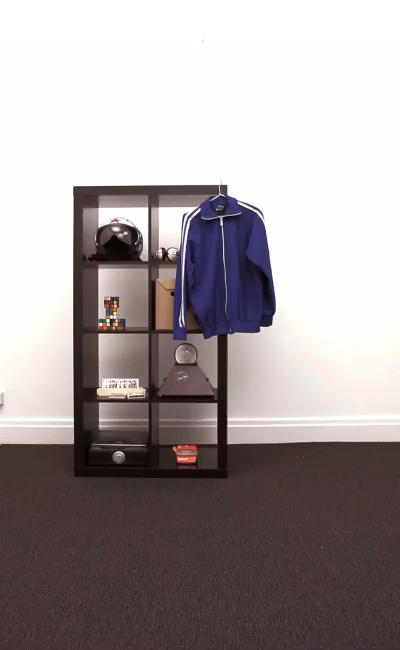 He will guide us on a journey of critical thinking and ‘a-ha’ moments as he presents fascinating and funny hoaxes, conundrums, mindgames, illusions – and downright lies. He will take us on a journey of figuring out, revealing why we seek answers, why we fall into traps, and how we might better understand the very human drive to “know”. He will be joined on stage by special musical guest Dan Kelly. We are proud to finally announce that our movie we made will be in cinemas in December. Screening times and tickets, scroll down to bottom. 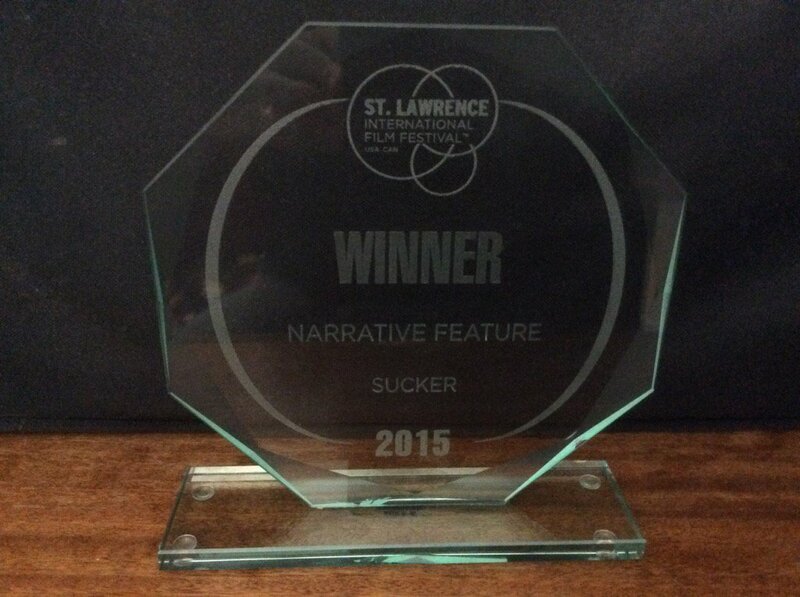 WINNER: Best Narrative Feature Award at the St Lawrence Film Festival. NOMINATION: Best Screen Adaptation at the Australian Writers Guild Awards. See it first: Lawrence Leung and John Luc will be on tour with the film across five cities (Dec 1-9) for exclusive Q&A screenings. Congrats to director Ben Chessell and whole Sucker team! Lawrence will appear at MEN OF LETTERS event in Melbourne. Hosted by Women of Letters and taking place at the Regal Ballroom, this is the sixth instalment of their beloved Men of Letters reading event. According to their website: “These chaps will go where no man has gone before – into the celebration of the lost art of letter writing.” Each gentleman has been asked to pen and read a letter to ‘The Woman Who Changed My Life’. 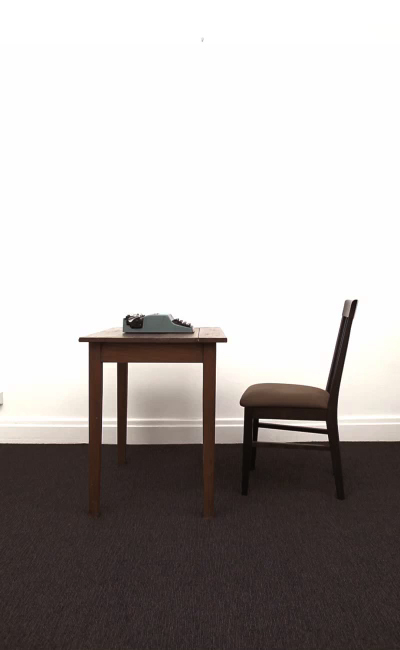 There’ll be a DJ set by the gorgeous Angie Hart, wine, and copious amounts of letter writing. Stamps and envelopes will be provided, and in the spirit of participation attendees are encouraged to pen short notes. 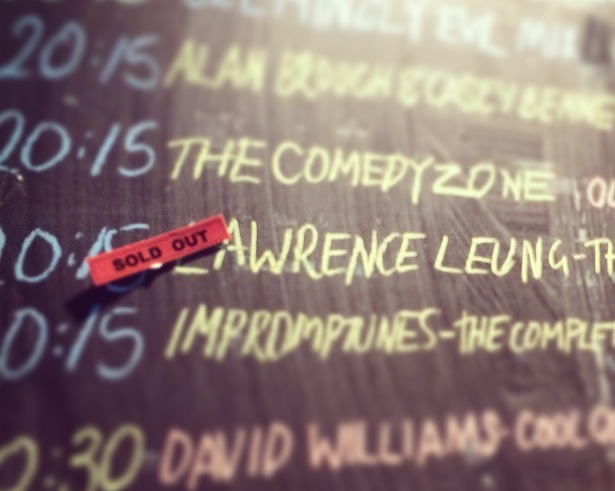 We are thrilled to announce that the feature film adaptation of Lawrence’s one-man show SUCKER can finally be seen. SUCKER will have its world premiere at the 2015 Melbourne International Film Festival on Saturday August 15. The coming-of-age con movie is directed by Ben Chessell and co-written by Ben and Lawrence with incredible performances by veteran British actor Timothy Spall (Best Actor, Cannes 2104), John Luc (playing a young Lawrence), Lily Sullivan (Galore), with cameos by Kat Stewart (Offspring) and Shaun Micallef. Come join us for the celebration and be among the first people to see the film. UPDATE: According to the booking site, the screening session is “SELLING FAST”, so reserve your seats before it sells out. HERE. What are the things you wish you could escape from? family expectations, love… and doona covers. The award-winning bearded comic will present his brand new stand up comedy tour in various cities around Australia in 2015. 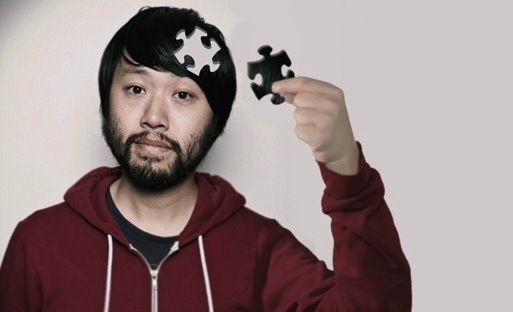 Lawrence’s cavalcade of nerdcore wonders and mirth-heavy delights kicks off in March/April at the Melbourne International Comedy Festival at Trades Hall. UPDATE: Seasons now concluded in Melbourne/Perth. Thanks to all who came!! 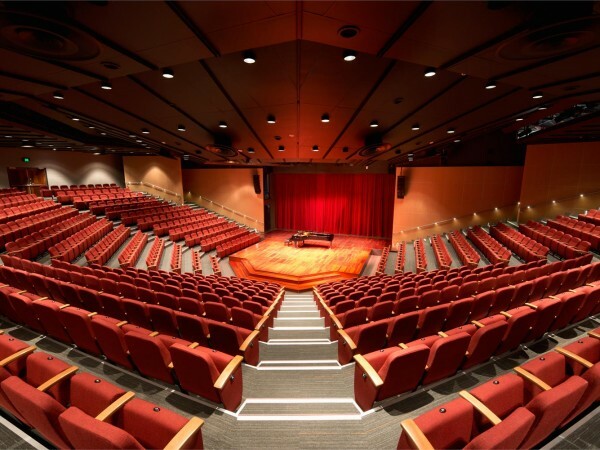 Friday, 1st May at the Octagon Theatre. on the 14th, 15th and 16th of May. and his tales and one-liners are hilarious. 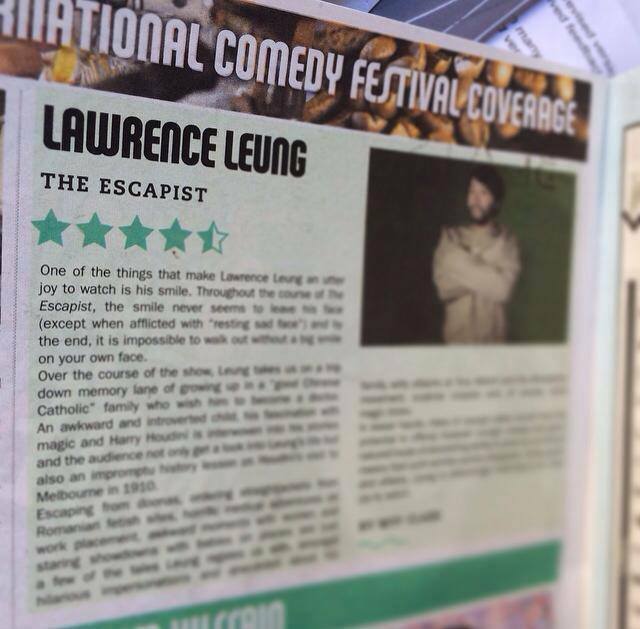 “One of the most effortlessly enjoyable shows of the festival. that is authentic and easily relatable, at the same time as retaining some edginess. We’re looking at other cities at the moment and hope to have some more dates to announce shortly. 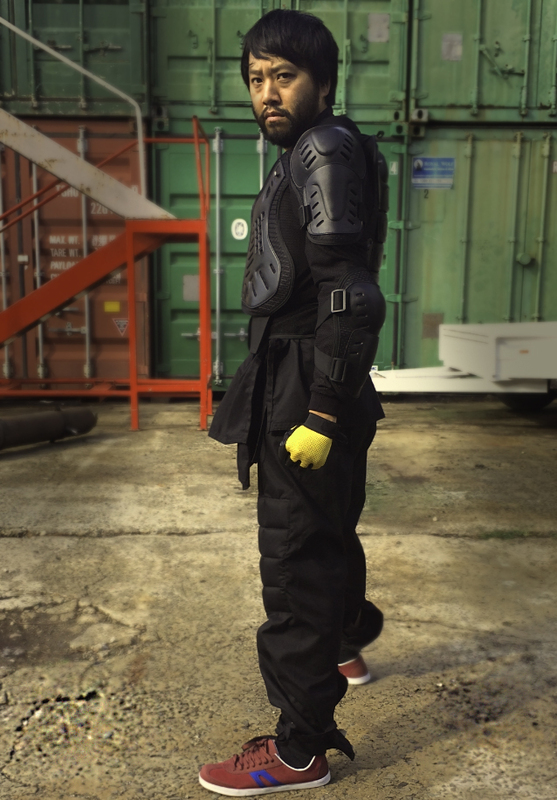 ABC2 officially announces the air date for Australia’s first kung fu comedy series. Tuesday February 24, 9pm. 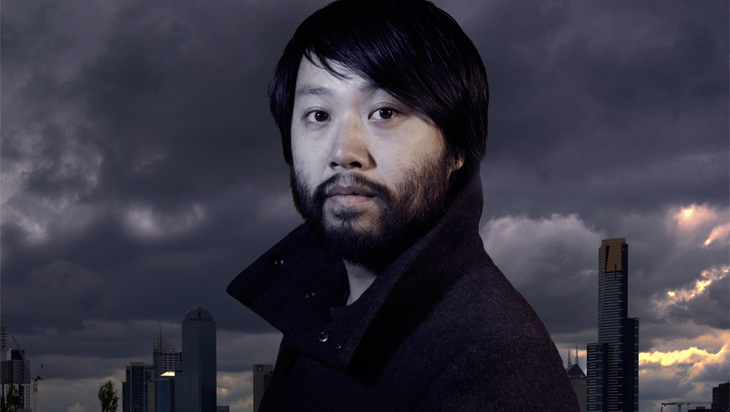 Lawrence plays the unqualified hero Simon Chan, who is reluctantly trying to save his town with his best pals, Petal (Stephanie Son) and Egg (Dave Eastgate). The hilarious cast includes Kathryn Yuen as Simon’s mum, Darren Gilshenan, Georgina Haig, Jason Chong, Andy Trieu, Anthony Brandon Wong, Fellino Delloso, Jackson Reine and Lap Phan. Oh and let’s not forget about the awesome stunts by the Dong Tam crew. Directed by Craig Melville and produced by Sophie Miller & Julie Eckersley at MatchboxPictures (NBC Universal), MaximumChoppage is unlike anything seen on Aussie TV at the moment and we’re all pretty excited about it. Cabramatta needs a hero. Instead they got Simon, Egg and Petal. Lawrence is thrilled to be hosting events with one of his childhood heroes - the brilliant magician, sceptic, author, paranormal investigator James Randi - for the Syd/Melb/Bris leg of his national tour. James Randi (known as ‘The Amazing Randi’) enjoyed an international reputation as a magician and escape artist, but he is perhaps best known in the last three decades as the world’s most tireless investigator and de-mystifier of paranormal and pseudoscientific claims. Some of you may remember Randi from the Psychics episode of the TV series LAWRENCE LEUNG’S UNBELIEVABLE (ABC1) when Lawrence tried to fool the professional sceptic with his magical crystal ball (with ipad hidden inside) to win Randi’s $1million psychic challenge. He “busted” Lawrence straight away. 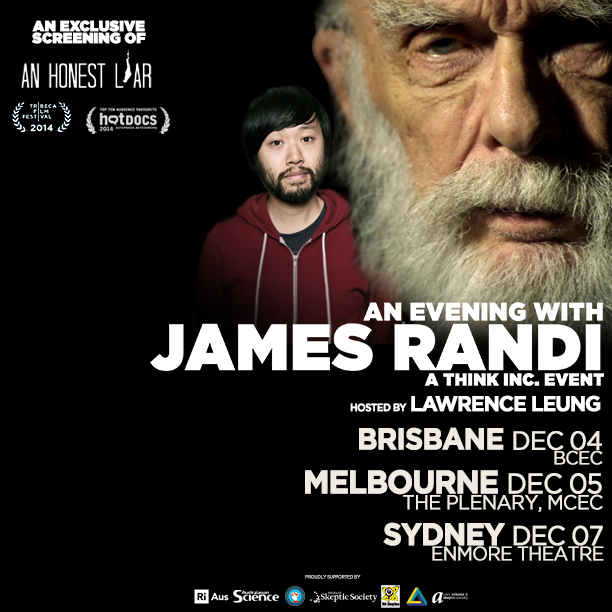 Randi is touring in December with his doco “AN HONEST LIAR” and Lawrence is hosting the Q&A in Brisbane, Melbourne and Sydney about the fascinating career and tales from this (de)mystifying 86 year old. Richard Saunders from SkepticZone will be opening the evenings and there’s a chance to meet the Amazing Randi too. Lawrence wants to be like Sherlock. All he needs is a case to solve, a loyal assistant and a nemesis. 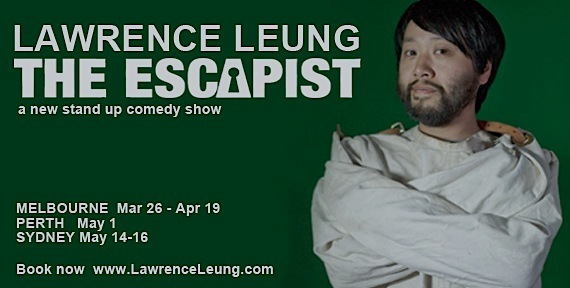 Taking cues from the world’s greatest sleuth, Lawrence battles wits, exposes lies and uncovers hidden truths. Can anyone become a great detective or is he just deceiving himself? You can read a review of the show at arts-hub here. 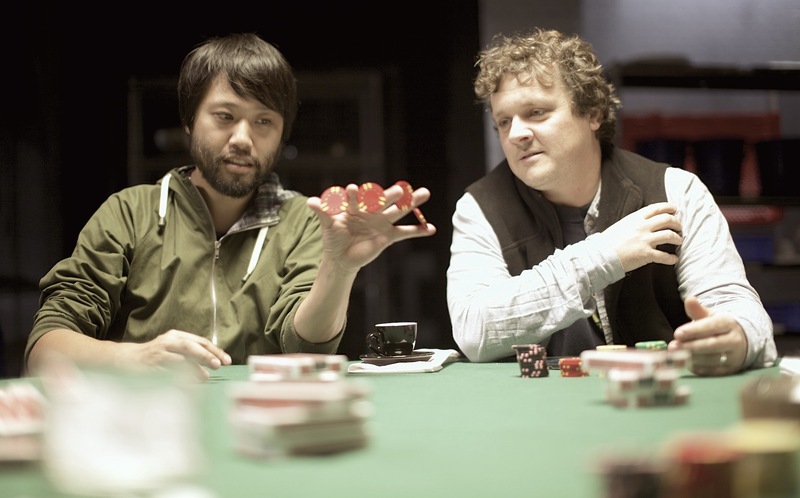 April 2014: Shooting has commenced in Melbourne and regional Victoria on SUCKER, a coming-of-age comedy about a 17 year old Chinese-Australian named Lawrence who befriends a charming con artist and his daughter. 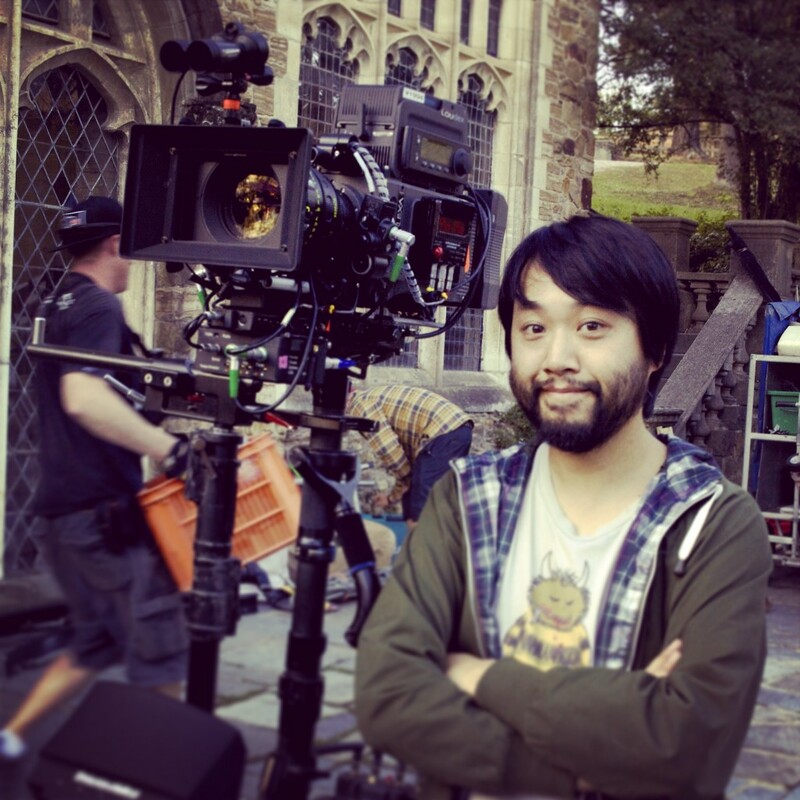 The film is the adaptation of Lawrence Leung’s award-winning one-man stage show he wrote and performed… also called Sucker . He has toured the production in over 100 performances around Australia, Edinburgh, Dublin, NZ, including a critically-acclaimed season at the Sydney Opera House in 2002. Photo: Ben Chessell directs. Lawrence distracts. The screenplay is co-written by Lawrence and Ben Chessell, who also directs. This marks Chessell’s feature film debut having directed episodes of Offspring, Rush, Dance Academy and the one hour 2005 telemovie, The Heartbreak Tour. 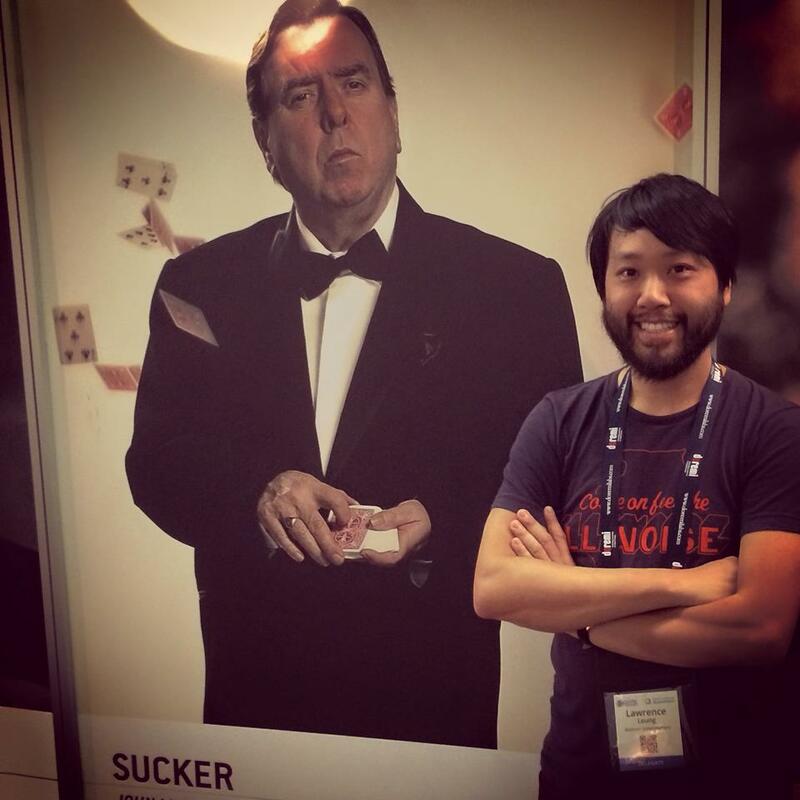 The film stars YouTube sensation John Luc as “Lawrence”, veteran British actor Timothy Spall (whose work includes the Harry Potter films and Mike Leigh’s upcoming Mr Turner*) and Lily Sullivan (Mental, Galore). Kat Stewart, Jacek Koman round out the excellent cast. There’s also a cameo from Shaun Micaleff. * UPDATE May 2014 – Congrats to Timothy Spall who has won the Best Actor award at the 2014 Cannes Film Festival for Mr Turner. We are thrilled he has chosen ‘The Professor’ in Sucker as his next role. We are proud to announce that Lawrence has begun shooting a 6-part genre-busting action/comedy series named MAXIMUM CHOPPAGE, a co-production between ABC2 and Matchbox Pictures/NBCUniversal. 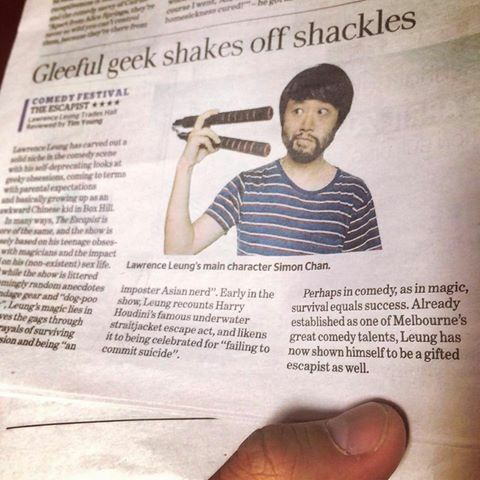 Lawrence is set to play the reluctant hero Simon Chan alongside Dave Eastgate, Stephanie Son, Darren Gilshenan, Anthony Brandon Wong, Jason Chong, Andy Trieu, Georgina Haig, Lap Phan and Felino Dolloso. Talented newcomer Kathryn Yuen will play his character’s mum. 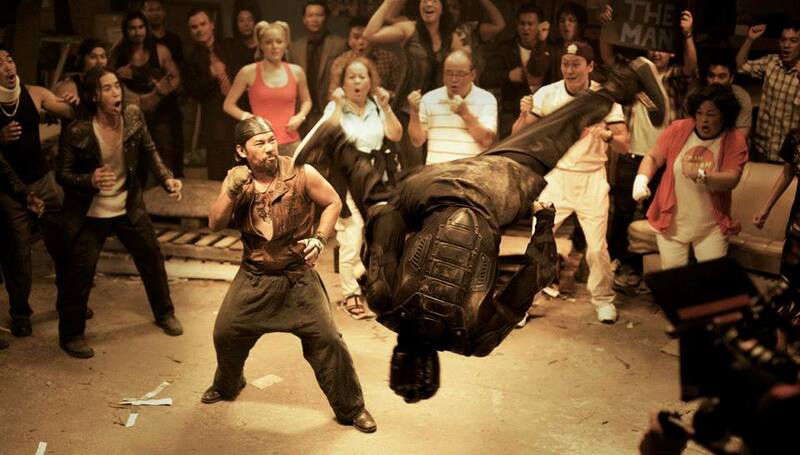 The production is currently filming in Cabramatta and locations across Sydney with fight choreography by Trung Ly and his Dong Tam stunt team. Lawrence is expected to do his stunts! He is also one of the writers (penning three eps) alongside Duncan Sarkis (Flight of the Conchords) and Josh Maplestone. The series is directed by Craig Melville who was also a director for Lawrence’s previous two ABC1 shows Choose Your Own Adventure and Unbelievable. The series is expected to go to air on ABC2 in early 2015.